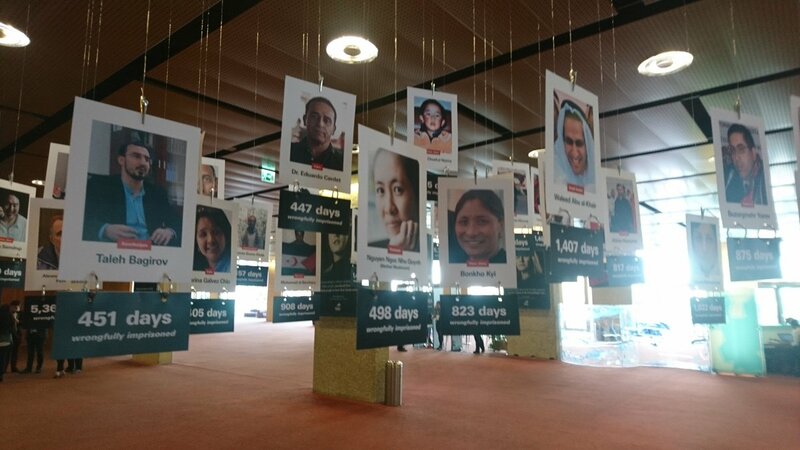 Three Cuban political prisoners [Karina Gálvez Chiu, Daniel Llorente Miranda, and Eduardo Cardet Concepción] were included in an art installation at the Centre International de Conférences Genève, erected for the tenth edition of an important gathering of human rights defenders and victims of repression. "The empty chair on this panel is dedicated to Eduardo Cardet. A medical doctor who is a political prisoner in Cuba. Dr. Cardet is the national coordinator of the Christian Liberation Movement in Cuba which was founded by the late dissident Oswaldo Payá. He has led projects designed to grant the right to vote to Cuban citizens. Dr. Cardet is married with two children, and works as a family doctor in the town of Velasco. For a period he was expelled from his work in retaliation for his opposition activity. He was also detained on several occasions. The last time he was taken prisoner by the Cuban police was on November 30, 2016. Dr. Cardet was arrested for criticizing Fidel Castro, a few days after his death. He suffered a severe beating by government agents which continued while in detention. Dr. Cardet was sentenced to 3 years in prison on trumped up charges. Recently he was moved to a notorious prison in Havana and beaten brutally. Today we say to Dr. Cardet we have not forgotten you." A lot has happened in Cuba since the first edition in 2009, and sadly much of it not for the better. 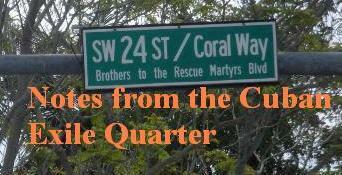 Oswaldo Payá Sardiñas, and Harold Cepero Escalante, of the Christian Liberation Movement (MCL in Spanish), were murdered on July 22, 2012 by the Castro regime's state security agents. 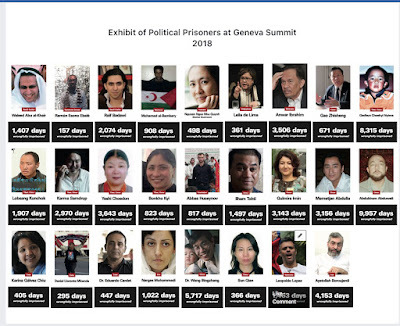 One of the few international venues to provide a platform to demand justice has been and continues to be the Geneva Summit. 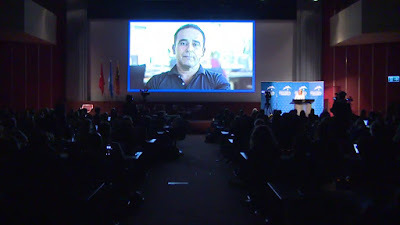 In 2013 Regis Iglesias Ramírez, spokesman for MCL and exiled in Spain, addressed the Geneva Summit. Rosa María Payá Acevedo, daughter of Oswaldo Payá and still living in Cuba at the time, through extraordinary efforts by organizers, was able to attend and capture the attention of the delegates there when she spoke about her dad. Rosa returned to address the Summit in 2016. 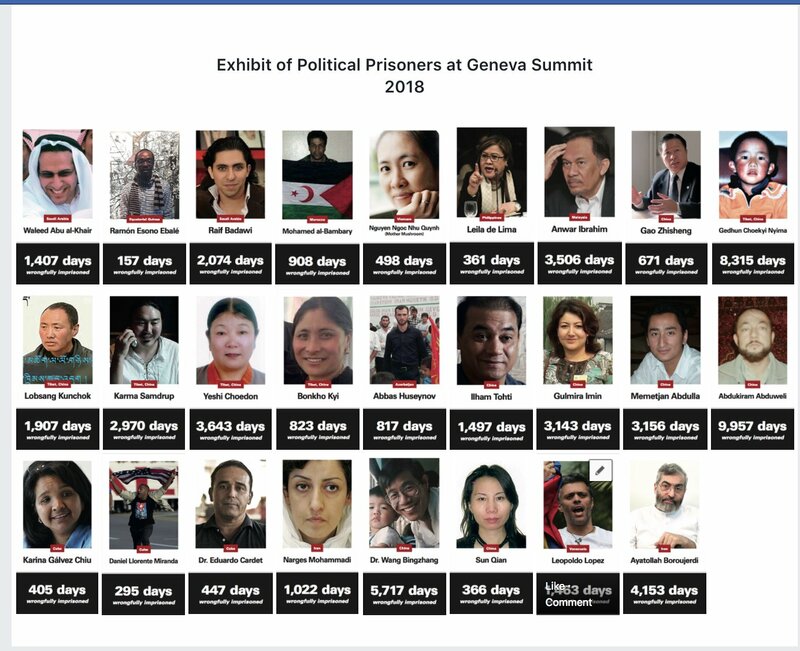 A decade later, following the deaths in 2012 of Oswaldo Payá, the MCL national coordinator and its youth leader Harold Cepero, and the new national coordinator Dr. Cardet is unjustly imprisoned but thanks to the Geneva Summit for Human Rights and Democracy not forgotten.